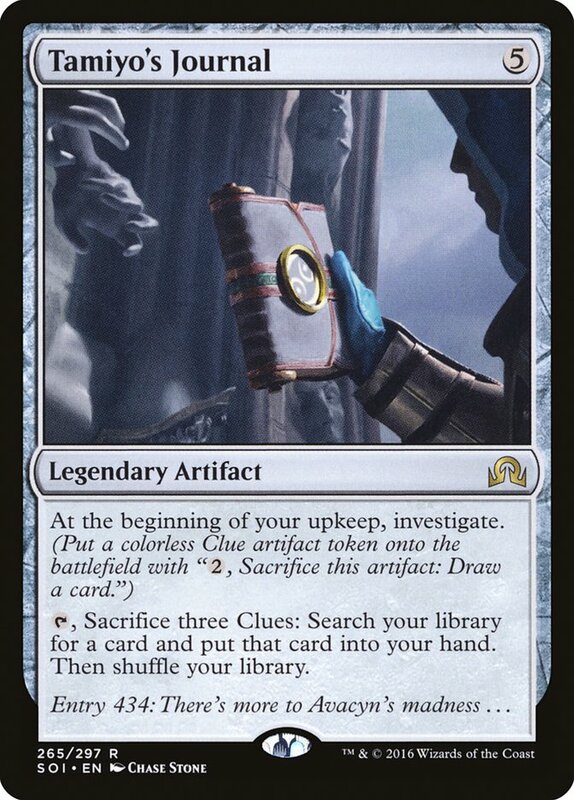 Tap, Sacrifice three Clues: Search your library for a card and put that card into your hand. Then shuffle your library. Flavor Text: Entry 434: There's more to Avacyn's madness . . .